In June the school classrooms have been built and the new mechanical and electrical services have been installed. The glazing is nearly complete, making the building watertight. 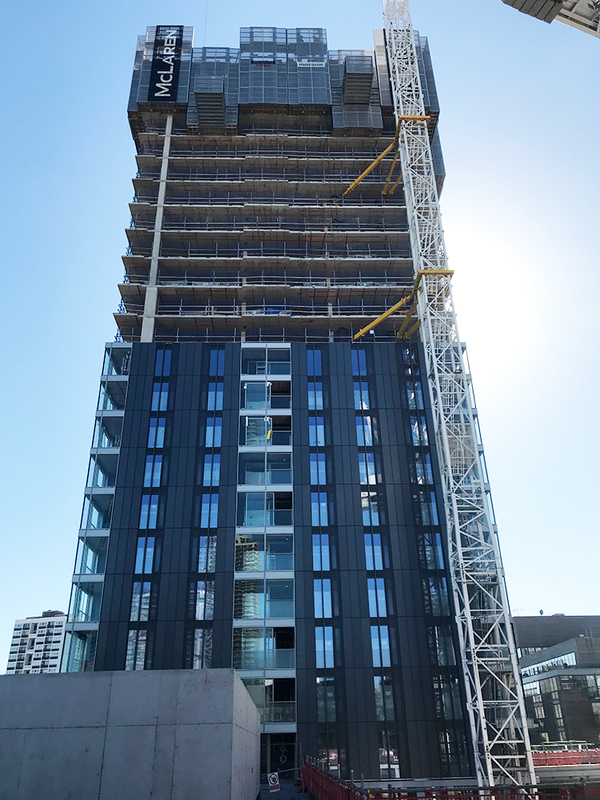 Cladding is complete to level 12 of the tower, whilst the concrete core is complete to level 27 and the concrete slabs are complete to level 22. 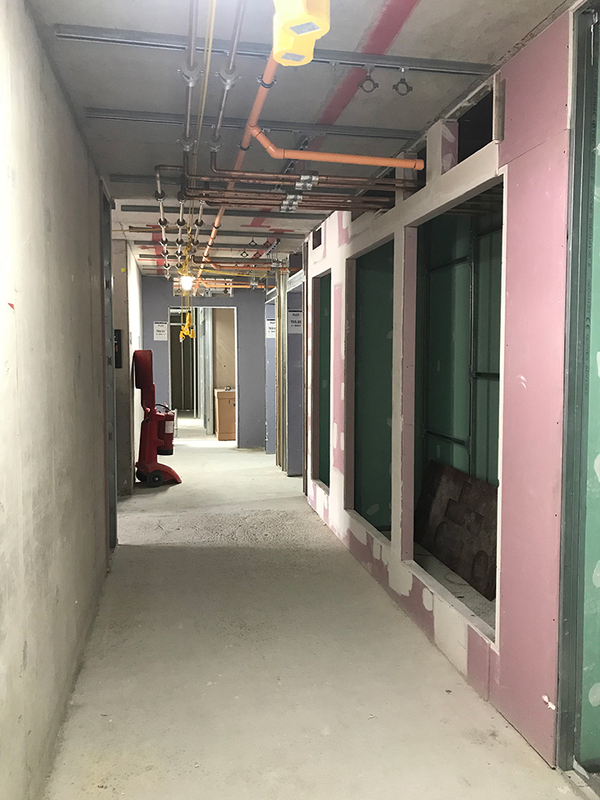 The internal fit out is up to level 9 with services in progress to common areas. During July the concrete tower core will be completed, with the concrete slabs following on behind. 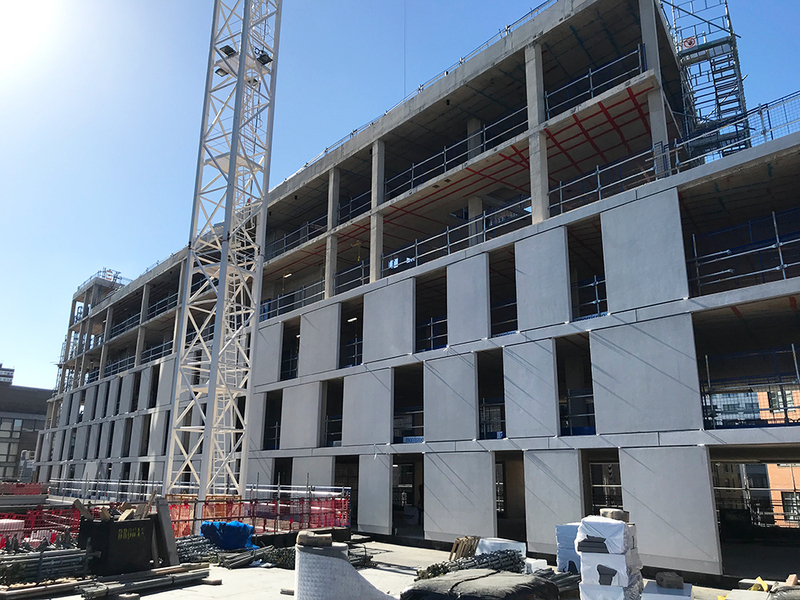 The pre‐cast concrete cladding will be nearly complete with the darker panels providing a contrast to the light grey. 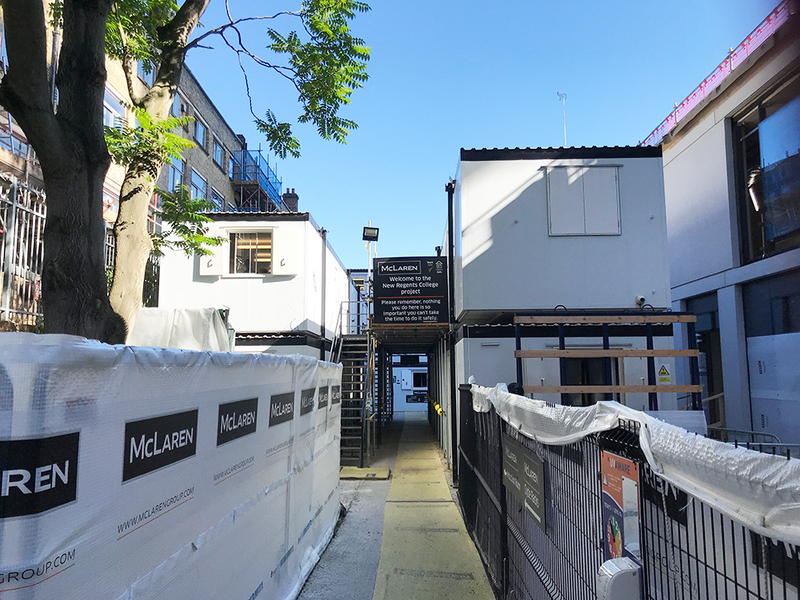 Glazing and scaffolding will continue, altering the appearance of the Nile Street block considerably. Fit‐out works will remain ongoing in the tower and will commence in the Nile Street block. A meeting was held with Hackney Virtual School and we will be offering work experience opportunities when suitable candidates have been identified. In the mean time we will be hosting a work experience placement to a secondary school candidate for a week in mid‐July. In June we supported a “challenging job stereotypes workshop” at the St John the Baptist Primary School. A presentation was given to 30 children between 5‐6 years old about the different careers available in construction. This was enthusiastically received especially when the pupils where given the opportunity to dress up in high vis jackets, hard hats and safety glasses.